CES 2012, International Consumer Electronics Show will be held at Las Vegas Convention Center, Las Vegas, Nevada in United States from January 10 -13. Being the major trade show focusing on technology related products. Many Electronic companies would be previewing their products and the announcements of new products will also be made in this show. International Consumer Electronics Show(CES) 2012, the major trade show focusing on technology related products to be held at Las Vegas Convention Center, Las Vegas, Nevada in United States from January 10 -13. The main attraction of this show would be the unveiling of new products by the major electronic companies and also the announcements of upcoming products. It is expected that more than 1.4 lakh people would be attending thus making it the biggest products launch show in USA. The first International Consumer Electronics Show (CES) was held in June 1967 in New York City pulling around 17,500 people to attend the mega event. 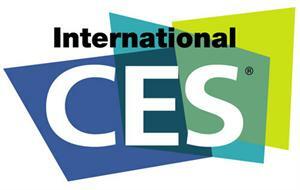 From 1978 to 1994 the CES was decided to be held twice in a year. But later in 1998, the organizers thought of making the show at once in a year format and deciding Las Vegas as the regular location. •	2011- Motorola Xoom tablet, Samsung Infuse 4G, HTC Thunderbolt, Sony Ericsson Xperia Arc, Motorola CLIQ 2, Motorola Droid Bionic, Motorola Atrix 4G, Mitsubishi's 92-inch model 3D TV, Toshiba Glasses Free 4K 3D TV, Samsung Plasma 3D HD TV series named D8000, LG LED 3D TV. The CES 2012 would be a splendid show as expected more companies would come forward with their own new products. Microsoft already said that the 2012 CES would be their last show. The show will have the display of upcoming tablets in 2012, upcoming mobile phones in 2012, upcoming other gadgets in 2012. Microsft CEO Steve Ballmer would be a major speaker who will describe about the company's upcoming Windows 8 operating system in the show. 2012 will be the year of Ultra books. Sony India today announced the launch of a pioneering technology for all those who take music seriously and savor real high definition sound with its state-of-the-art MDR Z7 headphones and high resolution amplifier PHA-3. Read the full press release here. LG offers the new M-Ready Drive with an M-DISC with unbeatable quality and reliability. It can store your data for 100 years without damaging it. It is available at a reasonable price which is made of unique materials for protection of data. LG Electronics Pvt. Ltd is one of the most trusted names in the field of electronics and appliances. This company has earned its name in the field of air conditioners, refrigerators, televisions, computers and laptops, mobile phones, and a lot of other products. This makes the company a global giant in the electronics industry. My dad gifted me a Philips alarm clock for my last Birthday. Since then, it has been one of my best companions. I promised my dad that I will write a review of the same and here it goes.